In this new year, will you let your inbox rule you? Or will you rule your inbox? It’s a new year, so why not start with a fresh new inbox? I’ll tell you why not, because you have hundreds of unread emails in your inbox. How can you possibly zero it out in a day? Even if you did, you’d be back to hundreds at week’s end. Experience shows that the full inbox is used as a to-do list, a database, and an excuse. What the full inbox is not doing is helping you stay focused and productive. The to-do list option works for a while, until you have hundreds of emails and can not distinguish between the ‘to-do’ items, the ‘I don’t know what to do with this’ items, and the unread items. The fuller the inbox gets, the more stressed we become. The more stressed we become, the less productive we are and the fuller the inbox gets – from lack of processing. There are two approaches to zeroing out your inbox the first time. Both of these work, but it is my experience that taking the time to process everything will help you establish a pattern and sustain inbox zero status. We’ve heard it often in recent times, but this has nothing to do with your finances. Declaring inbox bankruptcy means you take all of your emails from your inbox and archive them. Bam! Inbox zero. If you are really daring, you can delete them instead, but I prefer to archive. This allows for the opportunity to search for a critical email if the need arises. The preferred method to do your first time inbox zero is to process everything in the inbox. On average this takes 24 hours of focused processing. Logic tells us that if there are hundreds of emails and each one requires individual attention, more than 24 hours is required. Most likely, there are batch processing opportunities to reduce the time needed. Create filters / rules to batch process non-critical items. This will clear out a great deal from the inbox immediately (make sure to run in on the current inbox) as well as set up future processing to reduce the number of emails that actually land in your inbox. The key here is to set up a tag or folder for each type of batch. For example: create a rule for all marketing newsletters to skip the inbox and placed in a tag / folder named ‘marketing newsletter.’ Do this again for weekly status reports, e-statements from banks or suppliers, or personal emails. 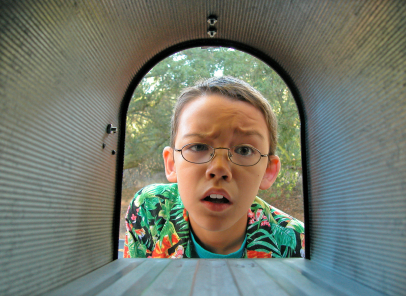 Sorting your inbox by sender or subject may help you identify batch processing opportunities. Remember: non-critical does not mean not important. It just means that you can process these in batches at schedule times during the day or week. Create filters / rules to batch process action items. If you receive requests for information from clients or co-workers, create a filter to sort these items into an action tag / folder. Then batch process all requests once or twice daily (frequency depends upon the task). To help sort these incoming messages, consider creating an email account specific for requests so they are easily sorted. A form generated email will also help (you can sort on the subject). All that remains are emails that need your individual attention. Be diligent in processing these items and stay focused. There are 3 things you can do with each email: File it, Act on it, Delete it. File it. Hopefully you covered most of these in your batch processing. The remaining items may be one-off emails that don’t require action, but that you want to keep on hand. Take about 10 seconds and decide where to file it. If you can’t , create a new tag / folder and file it. That’s it. Done. Act on it. This category is a little more complex. Acting includes taking the required action to resolve whatever is required; Delegating it to someone else; or Scheduling time to complete the action. Acting immediately works if you can complete the task within 5 minutes. Everything else should be delegated or scheduled for later. Scheduling includes making appointments or batch processing. Delete it. My favorite! Do you really need to save that memo about the holiday lunch? Are you really going to read that 25 page industry report? This is also an opportunity to find additional filters / rules to automatically delete (and skip the inbox) for certain types of emails. If you find you are deleting emails from one sender, consider un-subscribing (if possible). There you have it. Inbox zero. Processing your inbox each day using File, Act, or Delete, will help you keep it at zero and help you focus on what is important – your real work. Of course you still have work to do! Those batch process folders need your attention and those action items you scheduled must be completed. That is your real work – where you add value. After about 3 weeks inbox zero processing will be a habit and will only take you 15 minutes twice daily. Yes, it can happen. I do it every day. Happy processing!